The first Calne Business Fair will open its doors on 17 May to promote and celebrate the many diverse small and micro businesses in the SN11 area. Inspired by the successful ‘Wiltshire Expo 2013’ local business people Jessica Pillow (Pillow May Accountants) and Andy Tottman (Chilvester) felt there were many local companies that do not get the attention they deserve and set about creating an event to shine a spotlight on this business sector. 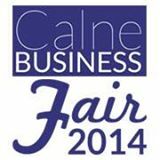 The Calne Business Fair is a free event designed to create business owners a platform to engage with a public audience and to network with other similar sized local companies. The event will take place in Calne Town Hall and Marden House on the same day as the annual Lions Duck Race. Talking about the event Jessica Pillow commented: “By linking the Calne Business Fair to the Lions Duck Race enables us to promote an event with potentially very high footfall”.